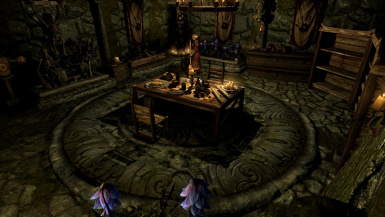 A roleplayer's rehaul of the Dark Brotherhood's Dawnstar headquarters. 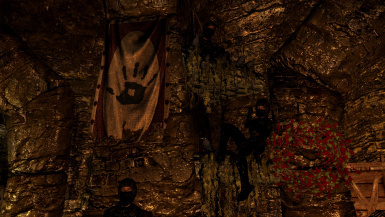 A role-player's re-haul of the 2nd Dark Brotherhood Sanctuary. Zolo's tribe, the Shadow Clan, Koi Trident and the Midnight Following. Plus an expanded Hannibal's area. Also introducing and featuring FinnWolfshorn. 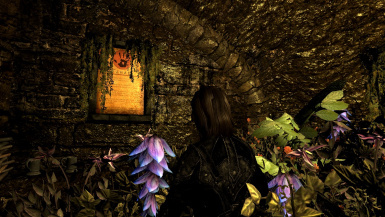 Find background notes and journals for Kehua and Zolo, Styr the Hunter and Vahknir. 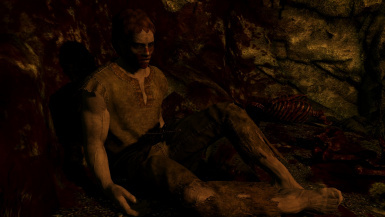 The meditating NPC have 3 different poses. 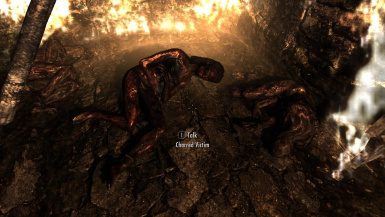 If you talk to them, they'll switch their pose. They choose the pose randomly, so they may just go back to the same pose. Also, some of them have dialogue options, which makes the process a little more time consuming. Anyway, I'm just letting you know there's a tiny bit of interactivity built in. 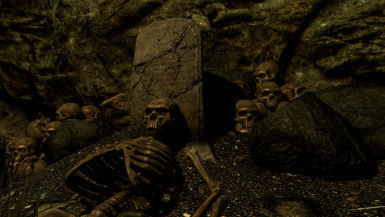 This one focuses on the Panic Room and Nameless, the mass murderer. 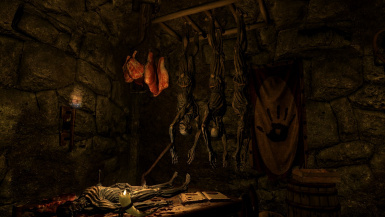 The Panic Room also houses a coven of vampires who shadow Nameless like parasites, feeding on his pile of corpses. In exchange for letting them stay, they will pass on their knowledge to you by acting as trainers. A few of them will also accompany you on your adventures. There's a portcullis added behind the sliding wall by the playground. They both activate from the pullchain, but you may need to sync them. With sliding wall open, manually open the portcullis by selecting it. Now they're synced. 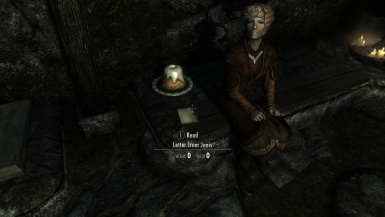 Vampire facegens are made with Dawnguard. 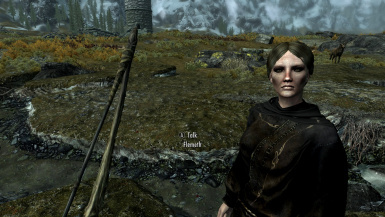 If you don't have Dawnguard you need to DL the vanilla facegens and overwrite. Extended Dialogue Patch required for trainer function. 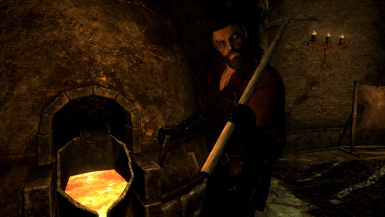 Without it, the vampires only have merchant functions. Find it in the optional files. If you're already using it, you need to upgrade it. 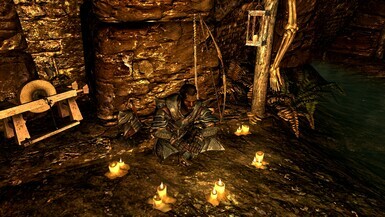 Overhauls the Dawnstar Sanctuary. 30+ new inhabitants. 3 new cells. 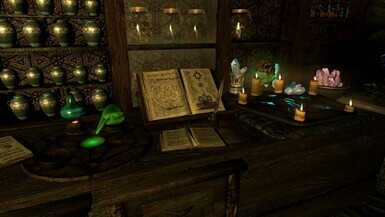 Various new conjuration spells and crafting recipes. 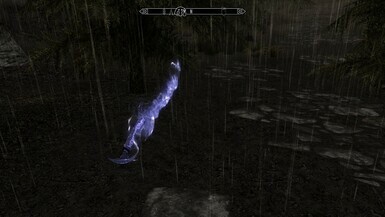 Try the ethereal weapon spells. 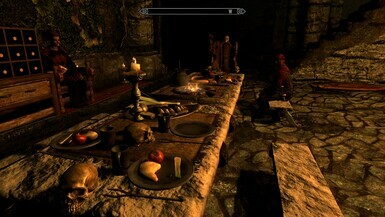 Cleaned with Tes5edit. For mature audiences. 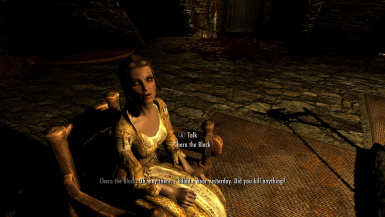 Extended Dialogue Add-on: The main file adds Dark Brotherhood dialogue to a large portion of the NPCs. 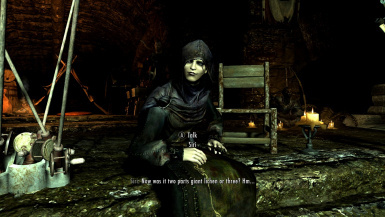 The extended dialogue patch adds various extra lines of dialogue to some others. Required for trainers functions in version 8 but not required to use the mod. Without it, the trainers will act as merchants only. Optional because it has higher potential for conflict. Recommended. 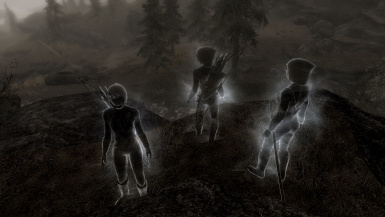 Immersive Weapons Patch: Fixes a conflict regarding the vanilla initiates and spectral assassin. Not required to use the two mods together. 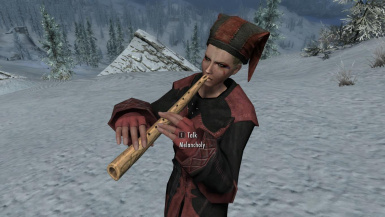 You can either load immersive weapons after my mod to get the weapons (kind of pointless since they're followers and you can just give them any weapon you choose) or you can load my mod later to get my changes to the initiates and spectral assassin. Patch gives you both and no worries about load order. Recommended. 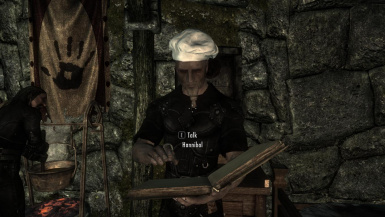 ZoloUSkPpatch: Not required to use my mod with Unofficial Skyrim patch. The main file is already compatible. The patch restores Zolo's outfit seen in the screenshots, which requires the patch. Recommended. ZoloUSLEEPpatch: Same as above but designed for people who have upgraded from USkP to USLEEP. I don't use USLEEP so it's not tested. 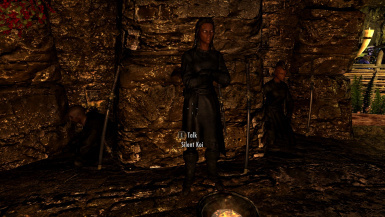 Facegens for NON Dawnguard: The mod is already set up to work with Dawnguard. You need this if you DONT have it. This overwrites the facegens from the main file, so say yes if it asks you to overwrite. Download the main file and install (pre-game, pre-quest, post-quest, anytime is fine). 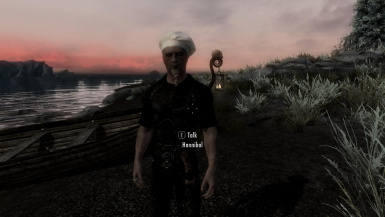 No mod requirements. 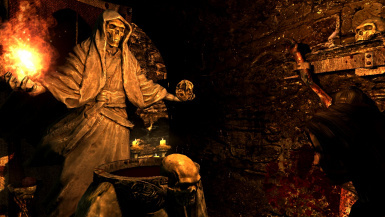 Finish Where You Hang Your Enemy's Head quest (that's the final quest where you buy the upgrades from Delvin). 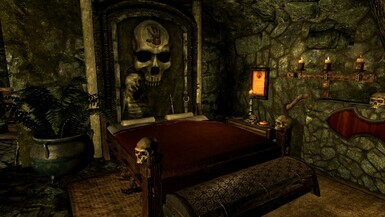 If you've already finished Where You Hang Your Enemy's Head, just make sure the weapon racks in the bedroom are empty before you install. 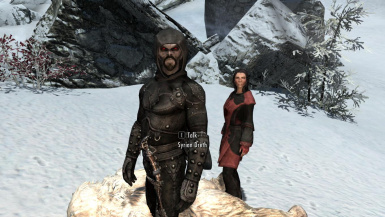 Existing games may have a problem with the vanilla initiates' outfits (naked, no footwear, gloves, etc.). Easy fix is to ask them to follow you, then trade. 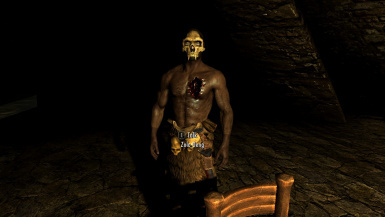 Remove an item of armor from their inventory, then replace it. 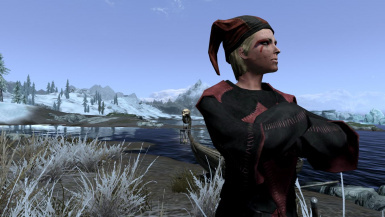 May also affect other NPCs if upgrading from a previous version. 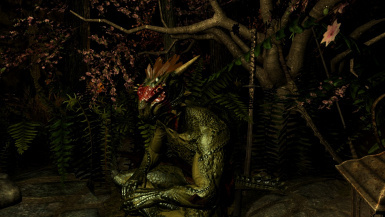 If you're using ELFX, you need to remove the DawnstarSanctuary cell out of the ELFX esp using tes5edit if you want to use ELFX and this mod together. 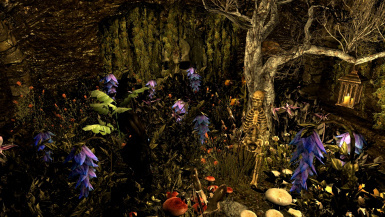 Because I realize some people are uncomfortable making those kinds of changes, as a courtesy I'm uploading an edited ELFX esp which removes the DawnstarSanctuary cell but nothing else. Requires EnhancedLightingandFX 2.0 and up. 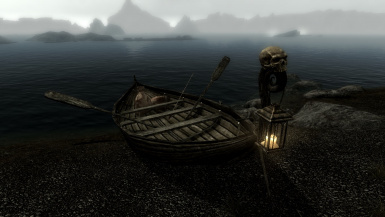 Note that conflicts with ELFX 2.0 and up are not limited to my mod. 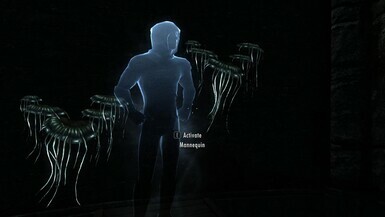 They will conflict with any mod that edits the sanctuary. 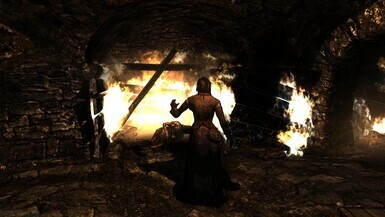 InAComaDial999 - Restrain script and dialogue work - http://www.nexusmods.com/skyrim/mods/28518/? 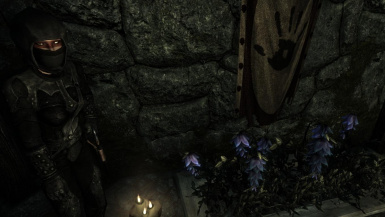 Lycanthrops - Morrigan and Angelica's wigs - http://www.nexusmods.com/skyrim/mods/48470/? 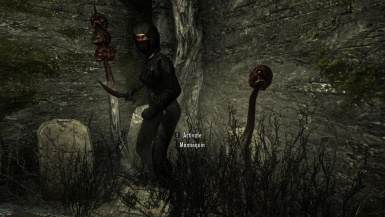 Nuska - Morrigan's hair model - http://www.nexusmods.com/skyrim/mods/48329/? 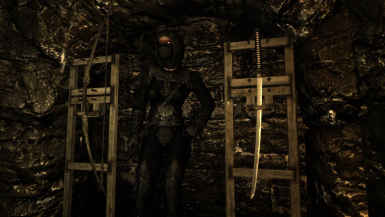 Apachii - Angelica's hair model - http://www.nexusmods.com/skyrim/mods/10168/? 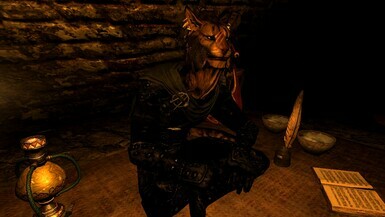 EDHILDILS - Zolo's Shaman Mask - http://www.nexusmods.com/skyrim/mods/44827/? 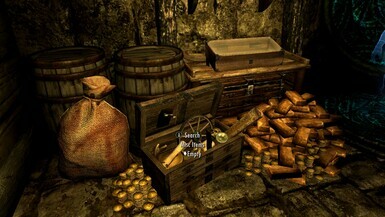 Blary - open books, potion bottles, meat rack, Egg crate, leek crate, apple basket - http://www.nexusmods.com/skyrim/mods/14134/? 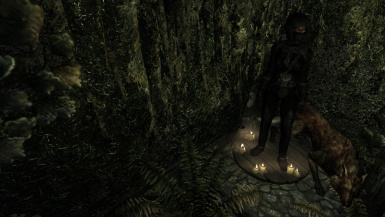 Tamira - voodoo doll, voodoo doll pins, skooma pipe and bisonskull shield - http://www.nexusmods.com/skyrim/mods/57394/? 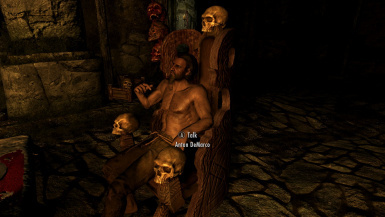 Oaristys & Tony67 - everything else - http://www.nexusmods.com/skyrim/mods/16525/?